I am a Senior Lecturer (‘Førstelektor’) at the Department of Biosciences, University of Oslo. I am also head of education and training for the Centre for Bioinformatics, Dept. of Informatics, Univ. of Oslo. At the Dept. of Biosciences, I lead the implementation of Computing in Science Education in the bachelor degree. As part of that I organise the first-semester course “Introduction to Computational Modelling for the Biosciences” (BIOS1100), teaching new Bioscience students mathematical modeling of biological problems using Python. For the Centre for Bioinformatics, I develop and coordinate a portfolio of credited courses as well as workshops for master and PhD students and other staff. I am a self-taught bioinformatician with a firm background in biology. My research at the Centre for Ecological and Evolutionary Synthesis (CEES) at the Dept. of Biosciences is on new methods to represent (reference) genomic information. I previously had a central role in the sequencing and assembly of the Atlantic cod genome. I lead the Advisory Council for eInfrastructure (fagrådet for eInfrastruktur) at UiO. I am a Software Carpentry instructor, teaching computational lab skills to scientists in the Nordic countries. I am an advocate of open source software, and reproducible computational biology. I share my work not only through publications, but also on my science blog at lexnederbragt.com. My presentations can be found on figshare and slideshare, and I am active on twitter (@lexnederbragt). I have an analytical mind that loves problem solving. I value honesty and professionalism, and dislike hype. I believe that sharing and openness will further science more than competition. I choose impact over impact factor. 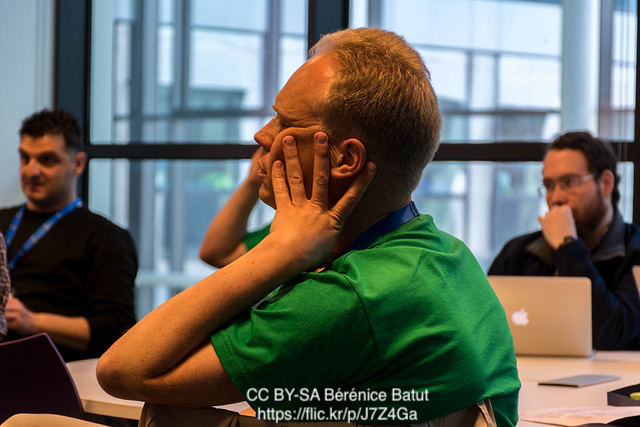 Software Carpentry and Data Carpentry are teaching researchers in science, engineering, medicine, and related disciplines worldwide computing and data analysis skills through short workshops using volunteer instructors. I am a certified instructor of and organize and lead workshops in Norway and Sweden. Together with Karin Lagesen and with support from the Science Library (UiO), we have established Software and Data Carpentry at the University of Oslo, see uio.no/carpentry, organising workshops more and more frequently, and increasing the number of certified instructors. I am also a certified instructor trainer, which enables me to give workshops for researchers that want to become instructors for Software or Data Carpentry. Software/Data Carpentry instructor retreat I gave a session on Interactive learning techniques, recording: https://www.youtube.com/watch?v=QptHJgzooU0. See also my Google Scholar profile or ORCID page.